Tata Primanti: Out-of-the-world living in heavenly grandeur! The TATA brand spells class and panache surely, doesn’t it? The real estate market in the city of Gurgaon has swanky and classy marvels today. Each new project seems to be a new jewel in the crown and seems to be writing newer levels of panache. Yet, there are those that take giant leaps and straightaway raise the bars very high. TATA has proved its ability for high quality across a gamut of industries and sectors. 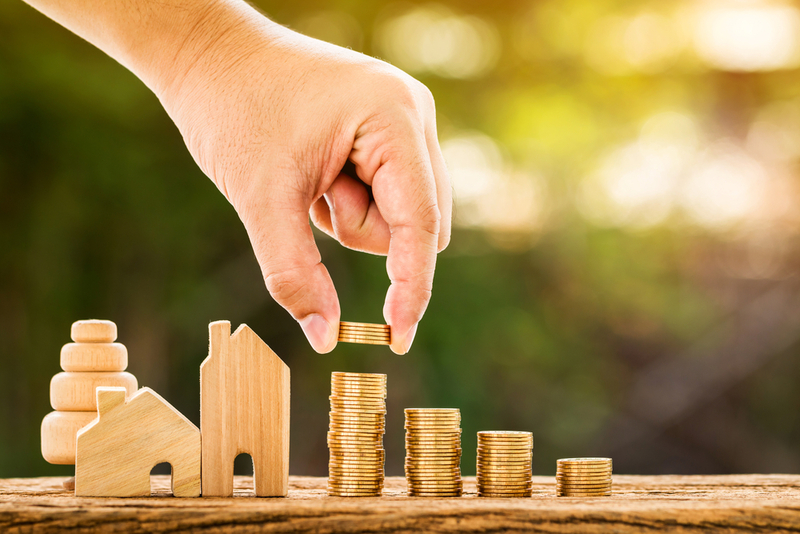 The realty sector is, therefore, no different. 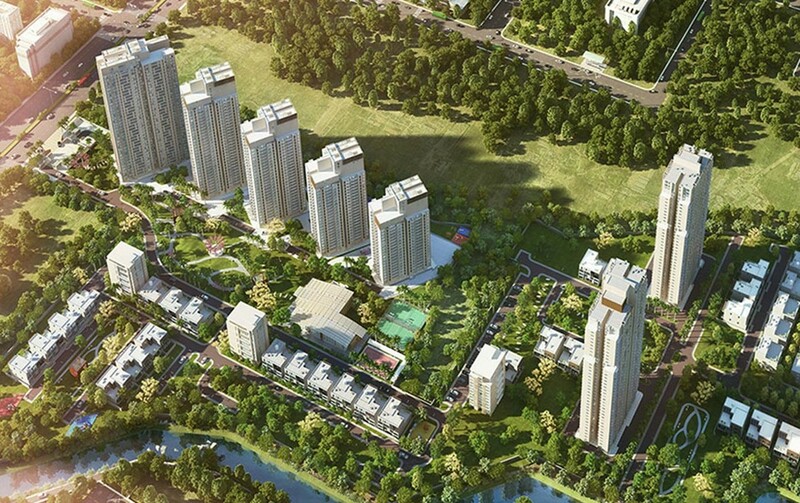 The property that is being talked about here is the residential project called Tata Primanti. Totally regal in its approach towards fine and global living space creations, this project is like a haven indeed! The homes are large and kingly in their appearances and in the sheer expanse of the sizes. The campus itself caters to those who want to live in style and with lavishness strewn all over. Every aspect of a modern and comfortable lifestyle has been catered to and dealt out in complete glory for the exclusive use of the patents. The location is prominent and upcoming. Almost at the confluence of SPR and Sohna Road, just a bit ahead of Vatika Chowk, Tata Primanti Gurgaon rises tall and proud. The site is thus accessible via NH-8, Golf Course Extension Road, and Sohna Road. The area has many universities, hospitals, schools, malls, office complexes, markets, and multiplexes in close proximity. The connectivity ahead to local markets like Badshahpur are practical additions. Just a few kilometres away is the natural escapade of Damdama Lake. 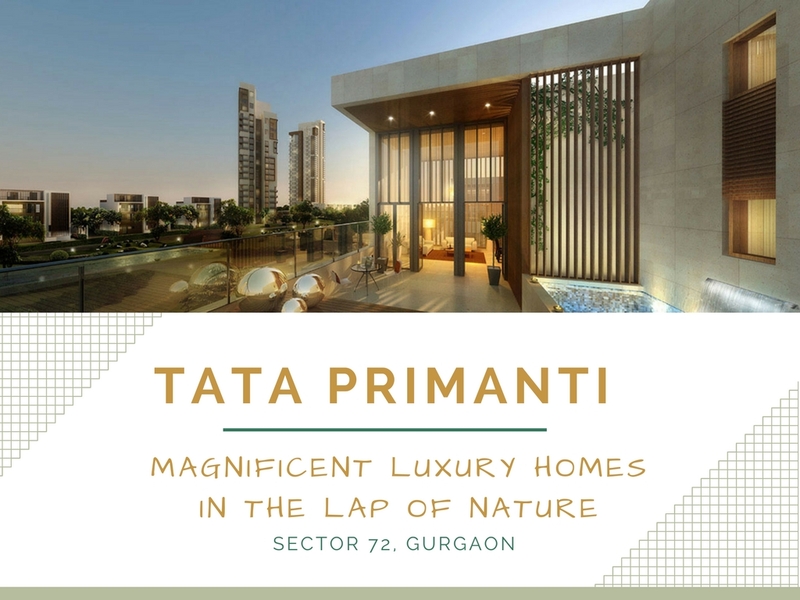 Tata Primanti Sector 72 is backed by Tata Housing, a highly trusted name in the realty industry with many projects in commercial, hospitality, retail, and residential sectors. This project has low density and hence there is more open space available to each unit. 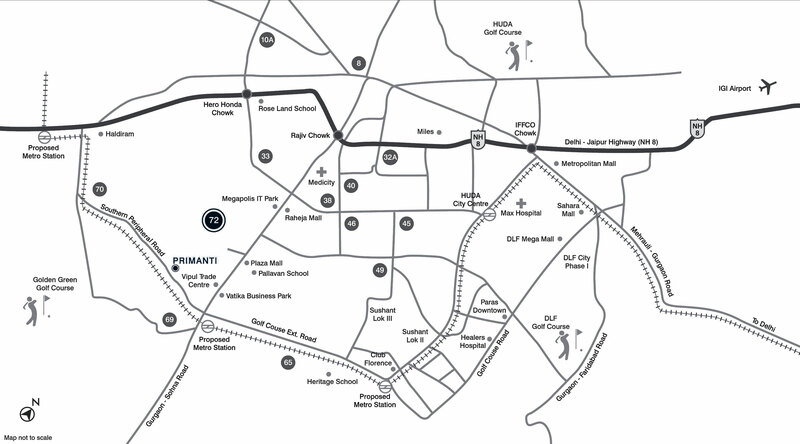 The campus measures 36 acres and is a mini-township in itself. The enclosures are 80% open and this is covered with abundant greenery. The homes here are being constructed in multiple phases. Phase 1 has already started to hand out possession and so the campus has people starting to move in. The structures here have G + 9 and G + 11 formats. The lobbies are grand with double heights for a grand welcome. The homes here are available as 3, 4, and 5 BHK apartments and the sizes are huge. These range from 2550 sq. ft. to a whopping 8500 sq. ft.
Extravaganza meets the excellent facilities in the enclosures. There is a huge clubhouse dedicated to recreation and socialising, health & fitness, etc. The area spans 25000 sq. ft. There is a heated swimming pool for a grand feeling. Rooftop restaurants add the remaining dash of glamour and fine-dining within the campus. The total number of apartments here are 1074. The apartments have branded modular kitchens of global acclaim. The VRV air-conditioning is the heights of luxury. The Italian marble flooring in living and dining areas adds a touch of class. 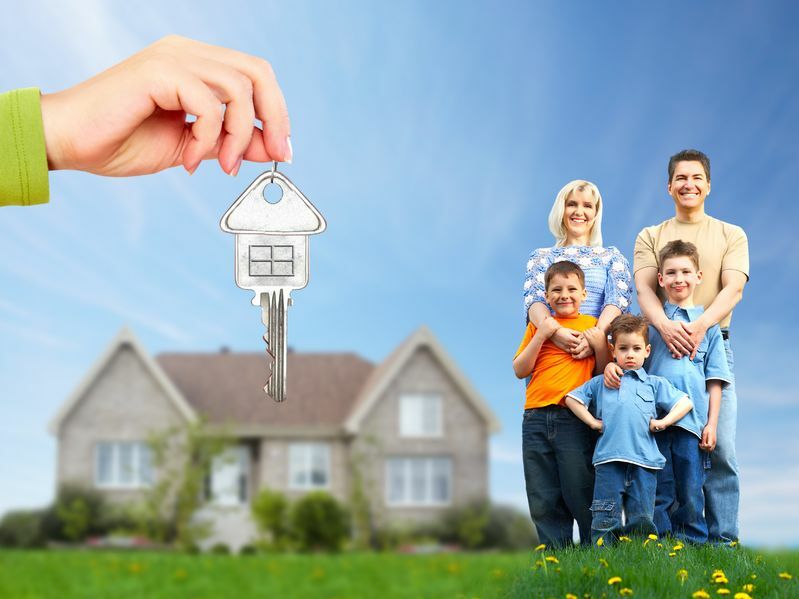 These homes are Vaastu-complaint for the maximum flow of positive energy. The technology-savvy Tata brand has ensured that the homes here are fully automated for a pampered feeling. The Tata Primanti price ranges from Rs. 2.75 crores and goes up to Rs. 7.20 crores. The booking can be made by paying only 10% of the amount. This project is certified by IGBC and has an eco-friendly design. This includes waste management, rainwater harvesting, and energy efficiency. There is a delicate balance of nature and modern luxury achieved with well-planned aesthetics and highly-functional developments within this complex! 5 Mins. To Golf Course Extension Road. 20 Mins. To Sector 29. 30 Mins. To IGI Airport.